Thank you for choosing a BMW. 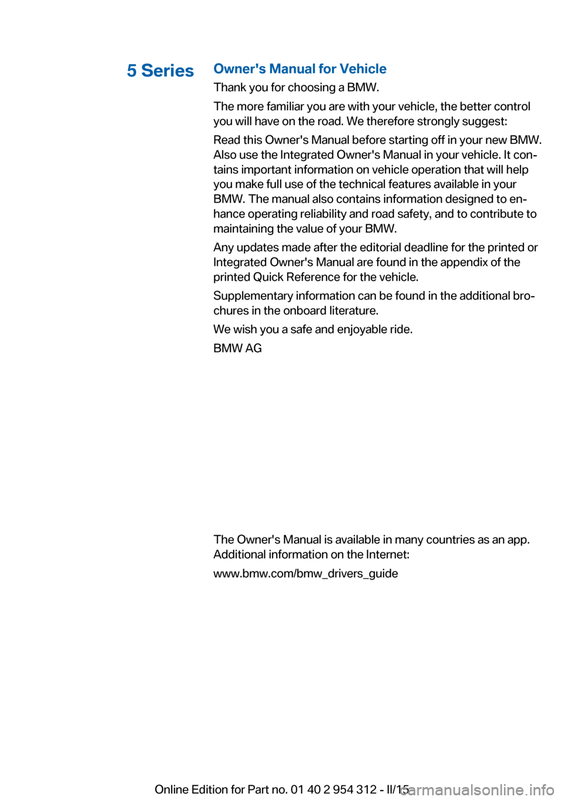 Read this Owner's Manual before starting off in your new BMW. 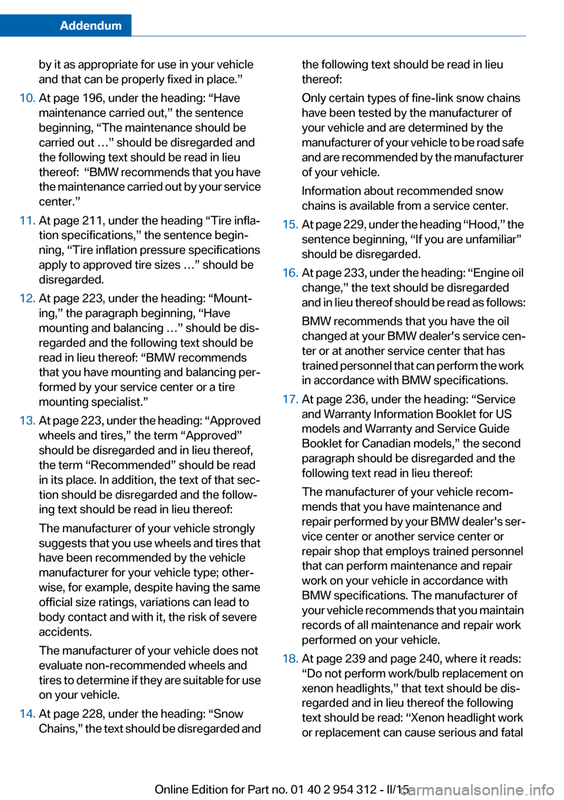 maintaining the value of your BMW. printed Quick Reference for the vehicle. chures in the onboard literature. We wish you a safe and enjoyable ride. 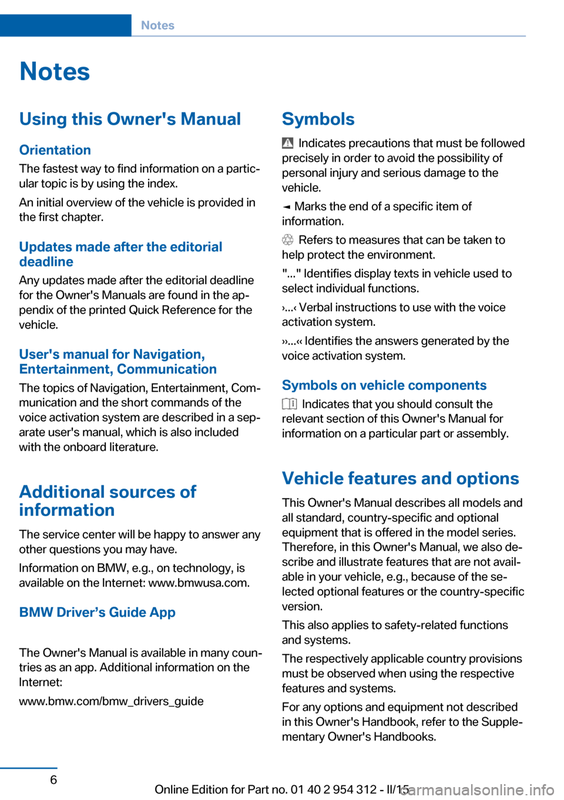 The Owner's Manual is available in many countries as an app. 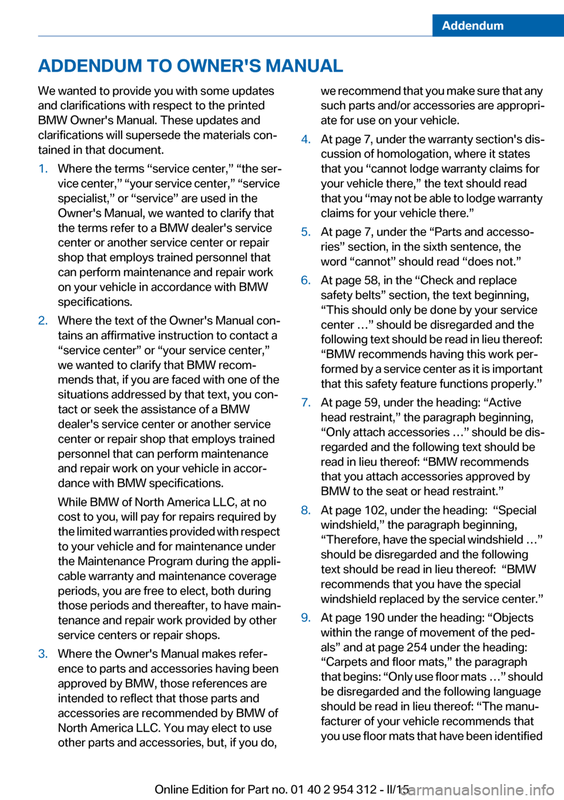 consent of BMW AG, Munich. service centers or repair shops. ate for use on your vehicle. chains is available from a service center. 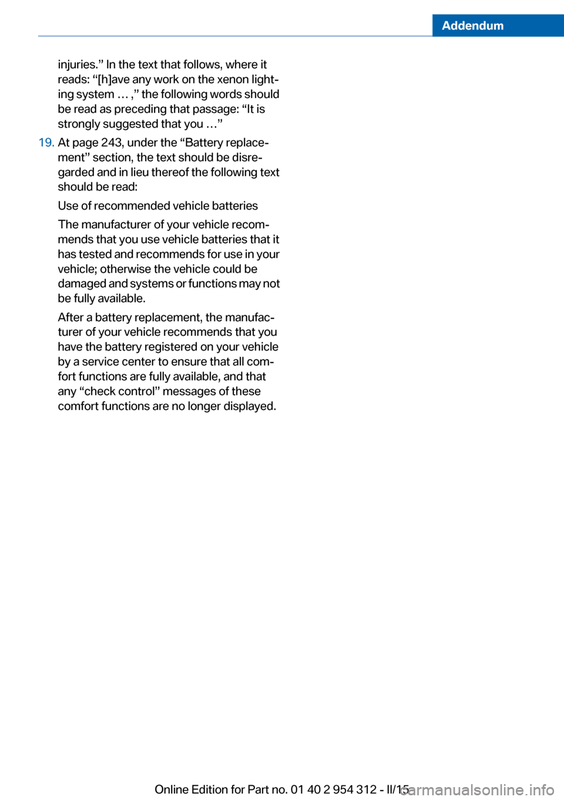 in accordance with BMW specifications. 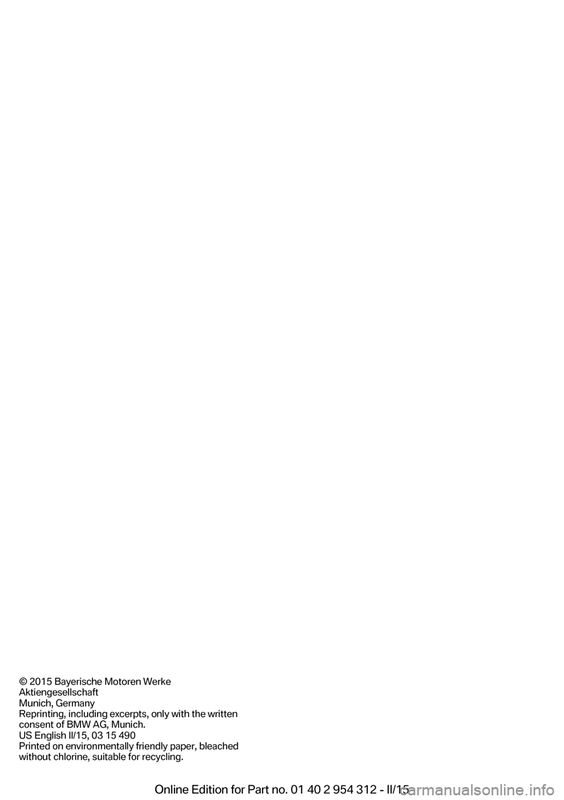 comfort functions are no longer displayed. 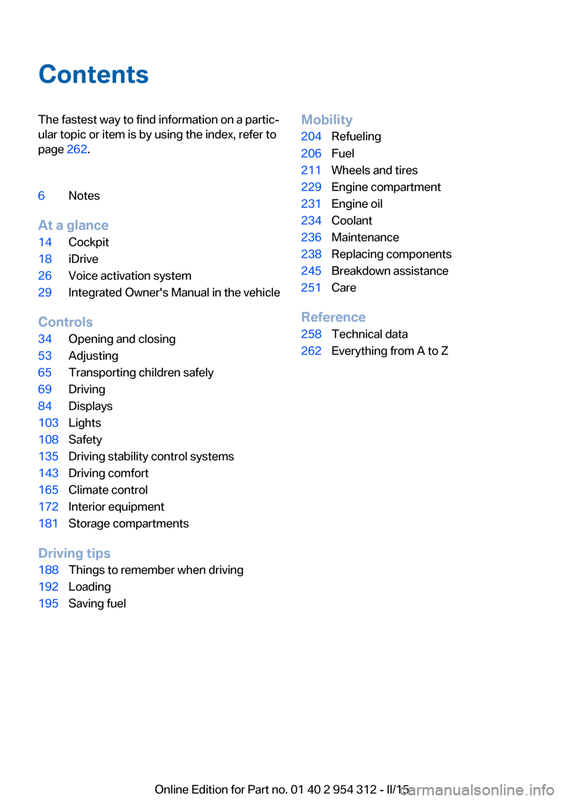 ular topic is by using the index. 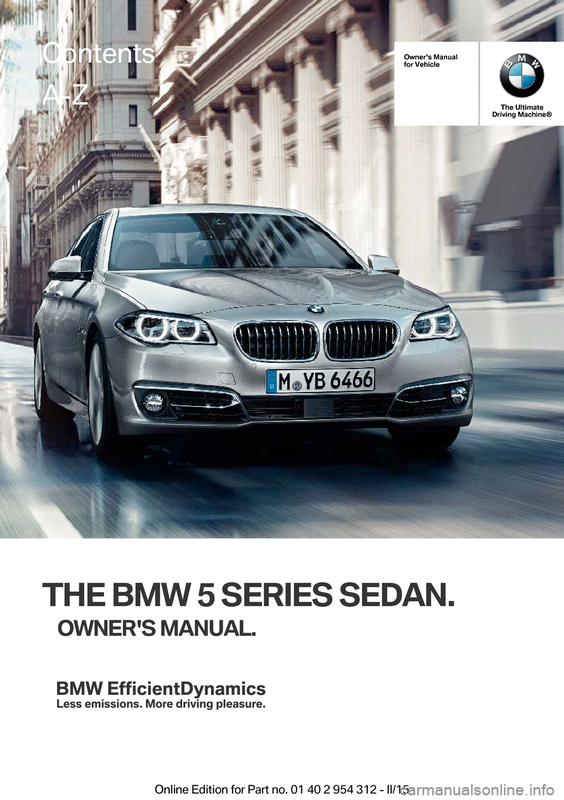 available on the Internet: www.bmwusa.com. equipment that is offered in the model series.